Many of you have been reading my blog for a while, but you might not be aware of how much information is available in my archives. Just as a refresher, I wanted to highlight some posts you might find helpful. Have you seen my DEFINITIVE post on How To Get Published? Do you need to know How to Find a Literary Agent? A great title is an important aspect of attracting an agent’s or editor’s attention. Here’s how to create a perfect title for your book. I get emails everyday asking for information that I’ve already covered somewhere on the blog, so I’m trying to help make it a little easier for you to find what you need. Those links in the bar across the top have drop down menus with incredible resources for you! Hope that helps you navigate your way around my blog! Is there any publishing info you need, or a discussion you’d like to have, that you can’t find on my blog? A handy guide to finding all the publishing information you ever needed on @RachelleGardner’s blog. Click to Tweet. How to get published, how to find an agent, and more. All the info you need! Click to Tweet. This is super helpful 🙂 Thank you! Rachelle, thank you for all the information. I always look forward to your new post. I’m glad that you are here and I can always look up to you for anything related to book publishing. 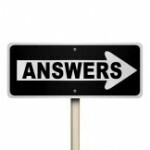 People who come to me with questions are instantly directed to your blog. I just have one question for you. Do you accept work from Indian authors and do Indian authors get published in the US? Thanks for this guide to your archives. Your site is a great asset for writers. I appreciate this post Rachelle…a comprehensive list of links on one page! Thank you for all the time and effort you put into helping the writing community! Rachelle, you set the standard in generosity & enabling we authors to be the best we can be. Congratulations and thanks so so much for your ongoing practical support. I have found your blog very informative and helpful as I’m new to writing for publication instead of just for fun (just signed my first contract with HopeSprings Books). I have a lot to learn and appreciate the time you spend sharing with us. I do have one question. On your “What I’m Looking For” page, you state that you aren’t interested in YA. However, on the ACFW website for agent appointments, it lists that you’ll look at any genre of YA. I only bring it up because I know many readers are booking their conference tickets and looking to meeting with agents. Are you interested in seeing YA? Hello Rachelle, perhaps a post on how drinking coffee and eating chocolate helps in getting published? Or at least justification for such an addiction. I bookmarked this as well. A great reference. Thank you, Rachelle. Rachelle, I’ve learned so much on your blog. When I first began writing seriously for publication, I began checking it out. And I’ve studied your archives. You have such an encouraging and forthright way of sharing your publishing knowledge. When I have a question, I usually stop here first to check your archives. Thanks for giving of yourself here, and thanks for sharing these links. I’m keeping this post as a go-to for when I need other information. Did I miss that one somewhere? Seriously, thanks for making so much good advice freely available. Ha! Sign me up when you come across this golden ticket. Too funny. Thank you, Rachelle, for this handy list! I’ll be teaching an online class on query letters for ACFW next year, and I’m going to lean heavily on your advice about that! This is a great go-to post. Thanks! Do you have a post on how to find readers for your genre? Dabney, I don’t have a post on that specific topic, but it’s a good idea for me to consider. Thanks! Dabney….that a great question. Rachelle…I hope you will address this topic. I think it would be helpful to many of us!! The refresher is great – thanks! I’d be interested in seeing a discussion of how to recruit beta readers, and how to set up a crit group – and how to make the experience beneficial for everyone. One other topic might have some appeal – to what degree can use of current technological references date a book in the current market? Given the long gestation period most novels have, I can see that some references can just be SO 2014. How do agents and publishers look at this? And how do the other readers of this forum deal with it? Interesting topics, Andrew, thanks! I’ll think about those. Rachelle, thank you for all you do on your blog! Yours was one of the first I came across in the publishing industry and it has helped more than you’ll ever know. When I had my phone conversation with my agent, one of the things she said was: “You appear so savvy in the industry.” Much of my knowledge is due to you! Your blog is priceless. It’s the first place I send people when they ask me about getting started on the road to publication. Such a sweet post Gabrielle. I agree with you. Her blog is very informative and like you, it’s the first i stumbled on and I’ve learned a whole lot. Thanks, Gabrielle, I appreciate the encouragement!